It’s every blogger’s dream to stand out from the crowd and be recognized for their blog. How great would it be when bloggers decide the direction in which mainstream media is steered? 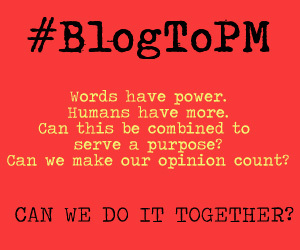 Well, according to multimedia professional Harini Calamur, bloggers are already doing so! Hearing this is one of the things that thrilled us during Harini’s session at #WIN15. 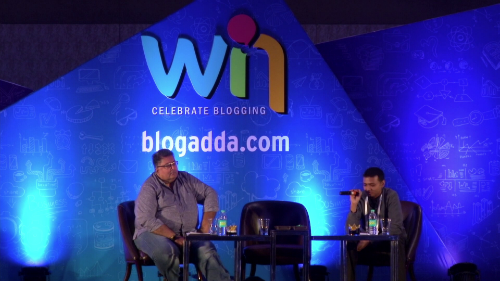 Watch Anaggh Desai and Aditya Magal in conversation at #WIN15! It is not everyday that you see two Gods in conversation. 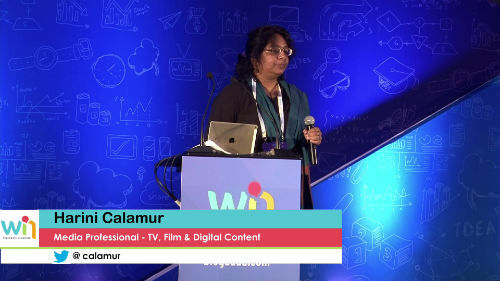 But #WIN15 wasn’t a normal day, it was a day when the best names in the digital industry came together to take blogging in India to the next level. One such conversation was between Twitter Gods Anaggh Desai and Jhunjhunwala, aka Sir Sri Sri Aditya Magal on the #WIN15 stage. 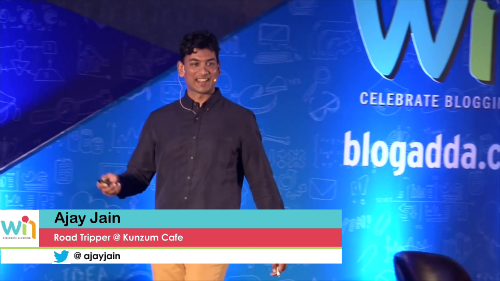 Watch Ajay Jain’s inspiring #WIN15 session here! If you ask people around you what their dream is, 4 out of 5 people would say “Quit my job and travel the world”. Though it sounds cool, it remains a pipe dream for many. Not for Ajay Jain, travel blogger and the owner of Kunzum Cafe. He is living the life he envisioned for himself by not just traveling, but building a whole career and life around travel. 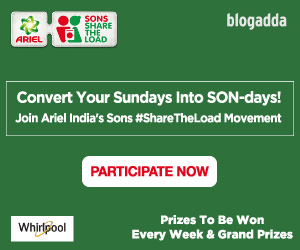 And that’s what he inspired bloggers to do during his #WIN15 session. Did you know that there is a Facebook page called Goats of Bangladesh modeled on Humans of New York? Well, even we didn’t, till Sruthijith KK informed us of the same at his session at #WIN15. 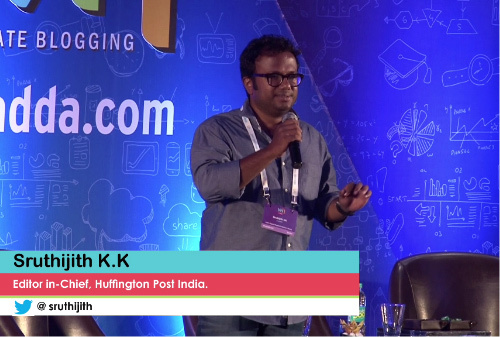 Sruthijith, the Editor-in-Chief of Huffington Post India, peppered his talk with many such digital trends, from Dubsmash to Instagram filters. 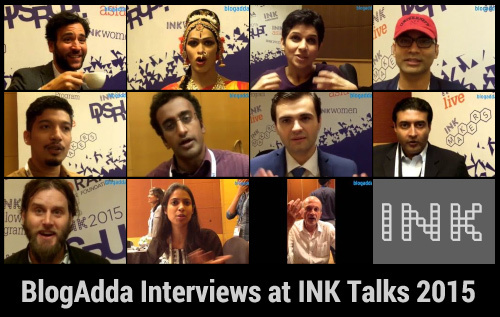 Watch Exclusive Interviews of #INK2015 speakers here! INK Talks has a rich history of bringing the most inspiring people on board for sessions that inspire, challenge traditional thinking and give the attendees food for thought to last the entire year, till the next INK Conference. The speakers have a lot to offer, so it’s natural that the wonderful interactions with them spill over after their talk too! 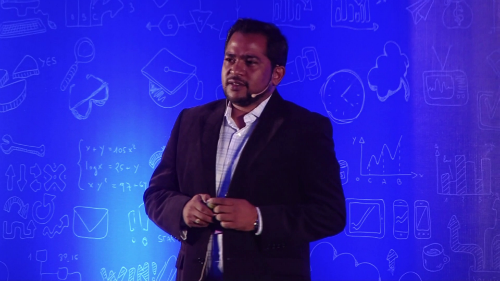 Watch Prashanth Challapalli’s #WIN15 session! #WIN15 was an event that got together the best of people from digital marketing for sessions that could pave new ways for bloggers and brands to work together. After Ashok Lalla’s #WIN15 session video (which we’re sure you have watched) let’s take a look at what Prashanth Challapalli, Sr. Vice President & Digital Head, iContract has to say about offering the best you have to brands.